Happy Poultry Keeping 2019 to all !!! To renew your membership for 2019 please print the form (on the right) and post, with your membership fee to the address on the form. Either: for a copy of the Colchester Poultry Club (CPC) Breeders' Directory, send a cheque made out to the Colchester Poultry Club for £2.50 to our show sec. Email first for the address. Or: join the CPC, details on the right, and contact one of our advertisers in 'The Hen Pen' or put a request on the (members only) club Facebook Page. The Egg Show is an informal aside to the AGM and great fun. Refreshments are available, as well as the opportunity to chat with members and feel part of the club. If you are looking for hatching eggs around that time, put a request on the club's members only Facebook page. Closing date for entries: Wednesday 3rd April 2019. 2) The Club will also be at the 2019 Agricultural Shows listed further below. 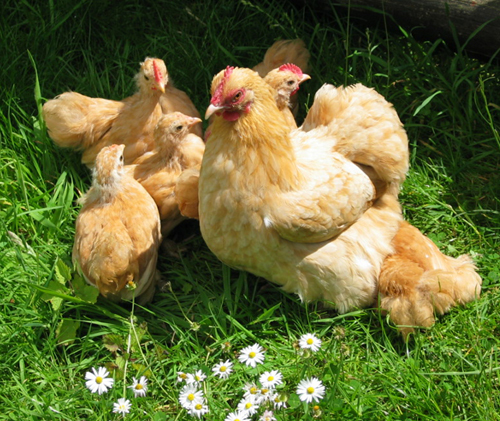 The club's aim is to promote and encourage poultry keeping as a worthwhile hobby, for the enjoyment of the whole family. Our goals are to increase peoples awareness of the benefits of keeping poultry, to encourage new poultry keepers of all ages, and to offer support and information to new and established poultry keepers alike. Many breeds of poultry are on the decline, once they are gone we will lose a large part of our agricultural heritage. It is estimated that five breeds a year are lost. East Anglia has three breeds associated with its counties. The Norfolk Grey (originally called the 'Black Maria') which is making a steady come back. The Ixworth of Suffolk which is not doing so well and the Golden Essex, which is now extinct and can never be brought back. Small backyard breeders are the backbone of keeping breeds of non commercial poultry going for the future. 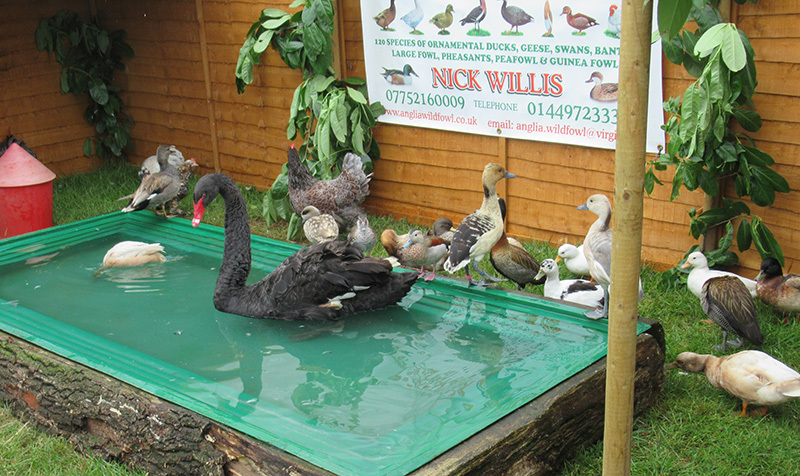 Through our shows, exhibitions and education we try to encourage people to keep poultry in their own garden. Like many clubs, the Colchester Poultry Club is run by (busy!) volunteers. We aim to provide encouragement to those wanting to take up this worthwhile hobby. Becoming a member entitles you to discounts on feed, accessories, and medicines at supporting stockist's in East Anglia. There are discounts on Show Entry fees plus a free magazine produced approximately twice a year. Want to keep chickens ? Come and talk to us at one of the shows we hold or attend, have a look at the attractive breeds on show and ask what might be suitable for your circumstances. Ask for a copy of our 'Poultry Facts' compilation of useful information and you are welcome to join the Colchester Poultry Club. 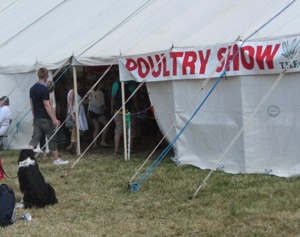 We hold four competitive poultry shows each year, three of which are held at The Venture Centre, Little Bromley. Links to the latest show shedules are given below. 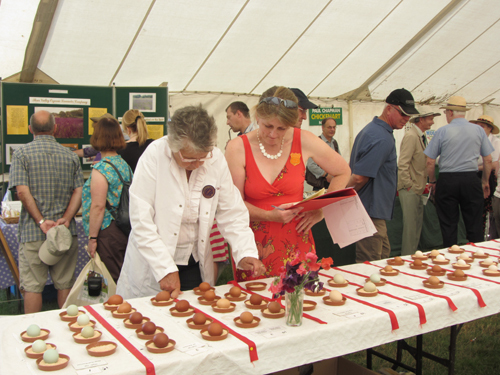 Show results are published on our Facebook page and in the 'Hen Pen'. With the present concerns over bird flu, at the moment shows can be held, but please be vigilant and check latest information. Please return all forms to the Show Sec. To join the facebook page, E-mail us. The Hen Pen is the magazine of Colchester Poultry Club. It is posted to all members of the Club along with the schedules and entry forms of forthcoming shows. It contains news and pictures from our shows, information on chickens, articles written by members about themselves and their birds, health matters and adverts. A selection of articles from past magazines can be accessed by clicking on the articles listed below. The Colchester Poultry Club has been around in one form or another since before 1854 and continues to attract a large number of beginners and established enthusiasts throughout East Anglia. Like many clubs, the Colchester Poultry Club is run by (busy!) volunteers. All volunteers are very welcome! Please e-mail the Show Secretary.